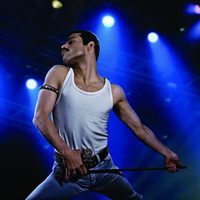 'Bohemian Rhapsody' is the biopic that narrows the story of the iconic group 'Queen', but it focuses most on the life of the main singer, Freddie Mercury. 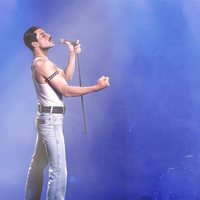 The film tries to show in chronological order how this band was born, the previous years before the fame came up and the first years of Freddie Mercury in the music industry. 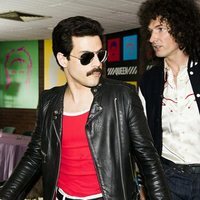 The movie will also show the concert Live Aid (1985) that took place in Wembley, a concert they gave with the purpose of collect money to benefical causes and where other singers participated. The film is directed by Dexter Fletcher and starring Rami Malek ('Mr. Robot'), Ben Hardy ('X-Men: Apocalypse'), Joseph Mazzello ('The Social Network') and Gwylim Lee ('Jamestown'). Other members of the cast are Mike Myers ('Austin Powers') and Lucy Boynton ('Muder on the Orient Express'). Write your own 'Bohemian Rhapsody' review. 'Bohemian Rhapsody' was one of the most iconic songs from the British band, 'Queen'. 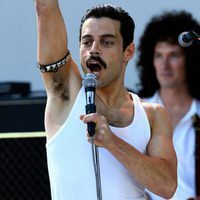 At the beginning, Sacha Baron Cohen was the first choice to play Queen's leading singer, Freddie Mercury. However, he left the project due to creative differences with two other actors. Rami Malek and Joseph Mazzello previously worked together in HBO miniseries 'The Pacific'.